Watercolor by Gretchen Del Rio. Used by permission. 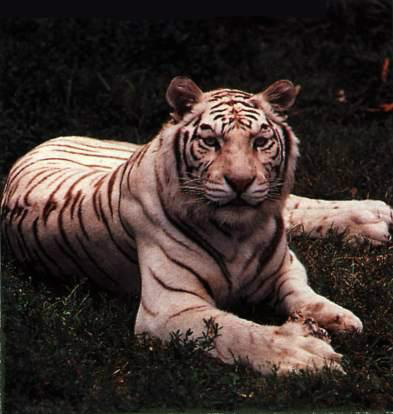 My last name is White and I am a metal tiger in Chinese Astrology. That's the tiger of the west and its color is white. So I am a White tiger practicing Eastern medicine in the West. I was also born in the autumn, which is the metal season associated with the color white, gray or clear. 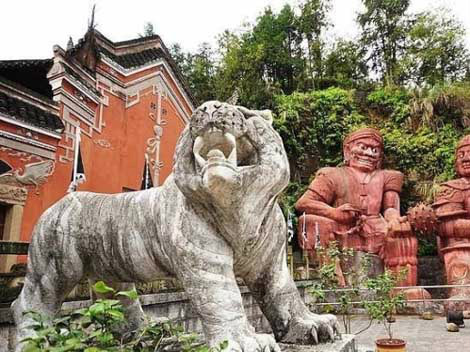 Tigers have many associations in both Eastern and Western tradition. There is an instruction to hold an acupuncture needle, it should be with calm and focused determinations, "like holding a tiger by the tail over a great abyss." 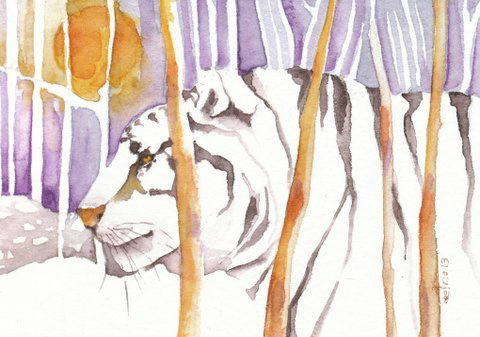 The tiger is often depicted as yin to the dragon's yang nature.